I have spent most of my life dabbling in the arts. In the beginning, it began with a love affair with charcoal and quickly spread to all mediums. While I am mostly self-taught, I enjoy learning about new styles and software that help shape my artistic abilities and expand the creative process. My book trailer methodology begins with music. I believe a good song is essential. From there I like to match the passion of the song with the imagery that represents the story. I don’t feel it always needs to be a literal representation to give meaning to the overall arc of the book. Keeping in mind that by using stock pictures/video, literal representations can sometimes be difficult to achieve. My goal is to work with the author to tell the story through a video/picture visual representation and supplement your marketing efforts with a cinematic platform. Feel free to take a look at my portfolio. Because a book trailer is a visual representation of an author’s work, I work with authors until they’re satisfied in the final product. I ask for 50% up front, which covers the cost of the song and initial labor. The first three revisions are free and included in the quoted price. Any requests after that will be an additional $10.00. When the final copy is finished, I will send you a file you can upload to your social media accounts or download to a CD for posterity. Upon request, I will send the file hard copy through the postal mail. 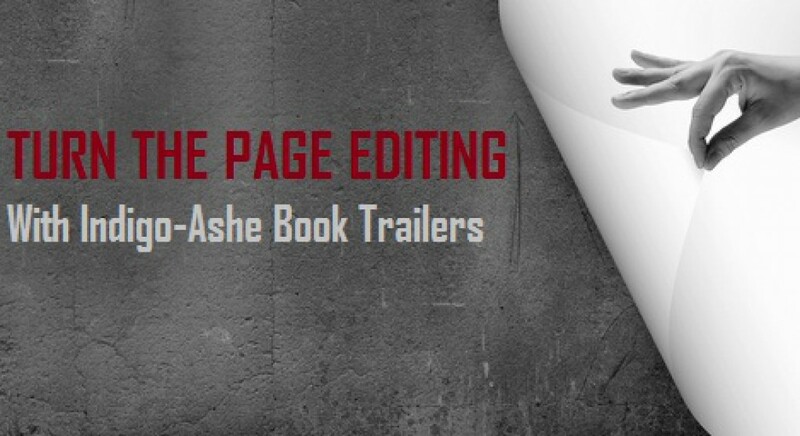 SPECIAL DEAL: For authors purchasing editing services from Turn The Page Editing, there is a $20 discount for book trailer services at the cost of $120.00.